This past Christmas, I asked for a yarn swift. Not an exciting thing for some people, I realize, but I love this thing. Life changing, I tell you. I had been looking at swifts for awhile, and decided on a wooden Amish swift instead of the umbrella type. This one is super simple to take apart and store, and the pegs are easy and fast to adjust. Love it. 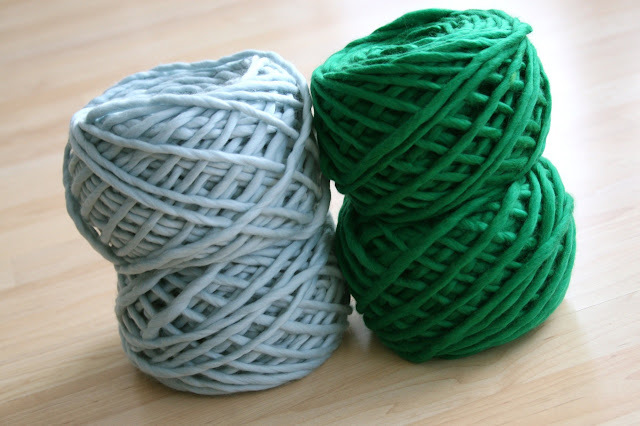 So I've been winding all of those abandoned hanks lying in my yarn bins into pretty little cakes like these! Hooray! So yeah, if you're not a fiber enthusiast and you're like ... 'what?' ... right now, lots of yarn actually comes in these twisted skeins, called hanks. And you cannot knit or crochet straight from a hank. Or you'll end up with a huge tangled pile of endless knots that you may never be able to untangle. Ever. Been there. It has the potential to make a girl cry. 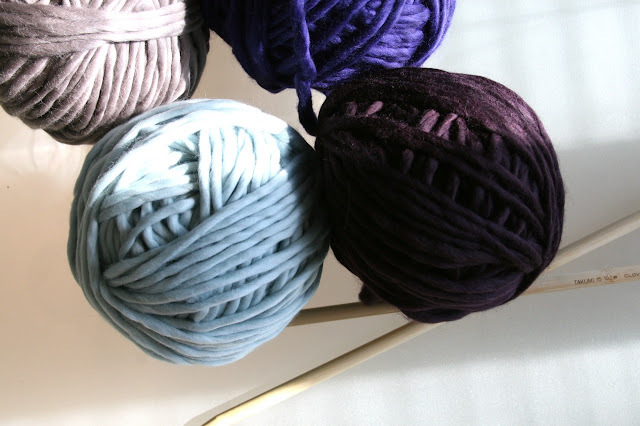 So when you purchase yarn in a hank, you usually have to gently untwist it into a loop and throw it over the back of a chair. e.t.a. 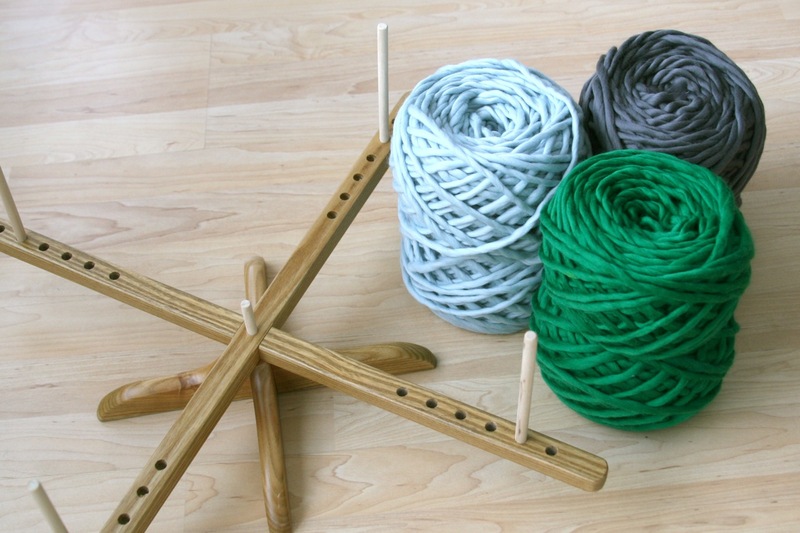 My yarn swift is the Chiao Goo Amish Design Wooden Yarn Swift from JoAnn Fabrics. They don't carry these in the stores, but for $40 it's a good deal and it works great. (They're actually on sale right now for only $27.99!! So grab one!) They also sell handmade swifts on Etsy, so be sure to check there as well. that has happened to me...tangled mess...good tip to point out. Oooooh, I am excited as ever about your swift and jealous too of course, but the yarn you are winding looks LOVELY and oh so soffft. I know one cannot really tell from a picture, but from the looks of you (whatever that means) I cannot imagine that you would but anything except for the best and soffffftest ! Oh so lovely. what brand is this?? and can I get it at Knitted Together? it looks wonderfully soft! Beautiful swift! Mine is just a cheap one, but it was free, so I can't complain as long as it gets the job done. Sometimes I wonder how I ever lived without it! 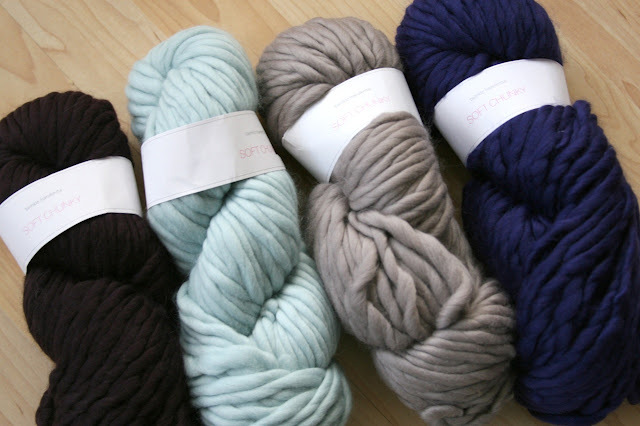 And then I remember that I live half a block away from a great and gracious yarn shop, haha. Your yarn looks so soft and squishy! Where did you find your yarn swift? I love it. It looks so much nicer than the umbrella kinds. Oh cool. Most of my circs are from Chiao Goo, didn't know they made these. Been considering getting one for sweater recycling.